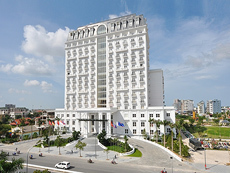 This 5-star hotel in Hue City is nestled in lush exotic gardens. 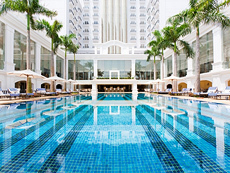 Its 168 luxuriously appointed rooms are spacious, and boasts a 42-inch plasma TV and a new generation bathroom concept. Each room has a balcony where you can enjoy the magnificent view over Hue city. Every room has Asian style bed overlays and comfort chair. All rooms are equipped with air conditioning, minibar, and coffee/tea making facilities, bathroom amenities and hairdryer. 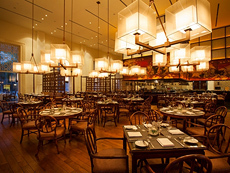 The hotel boasts a variety of dining options for you to choose from. Visit La Brasserie for fine dining and international cuisines. For a more relaxed dining experience, visit Le Petit Café which also offers snacks and bakery products. Stop by Au Rendezvous for drinks, snacks and live music. For the true wine connoisseur, visit Le Bar and select from their international wine list. Les Bains, the poolside bar, provides popular dishes, light meals and a colorful array of cocktails and drinks throughout the day. The Bhuvana Spa offers a range of treatments inspired by nature to nurture the mind, body and soul. 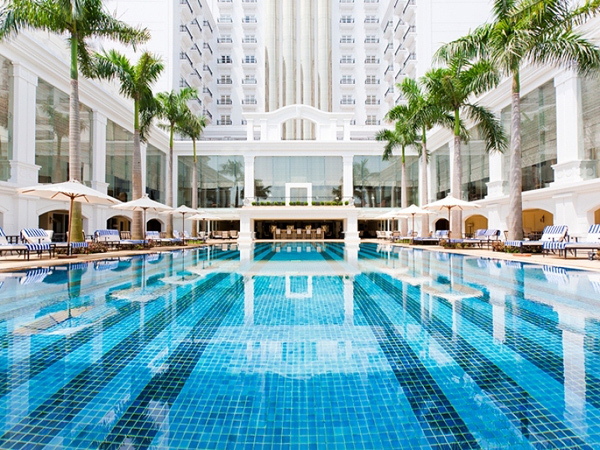 Relax by the pool, cooled by Royal Palm Trees, or visit the state-of-the-art fitness center or billiard club.